Connect your Apex Controller from Neptune to up to two Tunze Stream pumps. 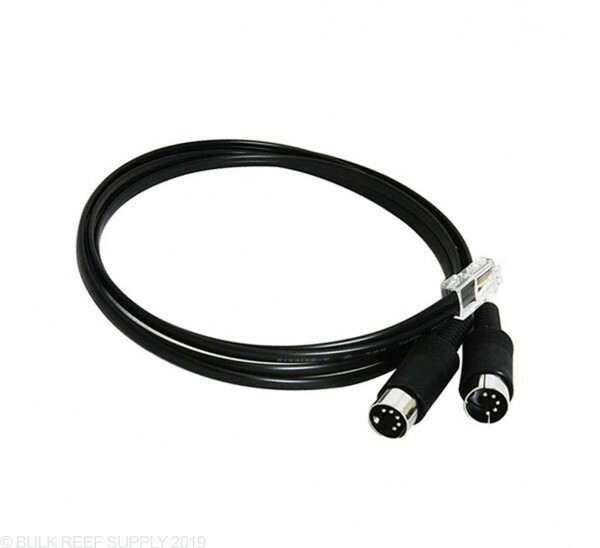 It has 1 RJ45 connector which plugs into the Apex base unit and 2 Din5 connectors which plug into 2 Tunze Controllable Stream pumps. I didn't realize that this was for two pumps. Happily surprised it does. The cables are a little shorter than I'd prefer and I don't know if there's are extensions available but work great. When I plugged this in I didn't realize that the plugs where for pump one and the other for pump two. So I spent two days trying to figure out why my programming wasn't working before BRS customer service straightened me out. Works perfectly. It might feel loose when connecting to the pumps so just pull back the rubber a little and they will snap in securely..
Had to cut the sleeves off the ends a bit to get them to fit but other than that they work fine. Decent cable once you cut off about 1/4" off the plastic sleeve. The metal connector feels a bit flimsy, but without much movement it should hold up fine. Good quality cable at a reasonable price. Does it work for tunze 6095? 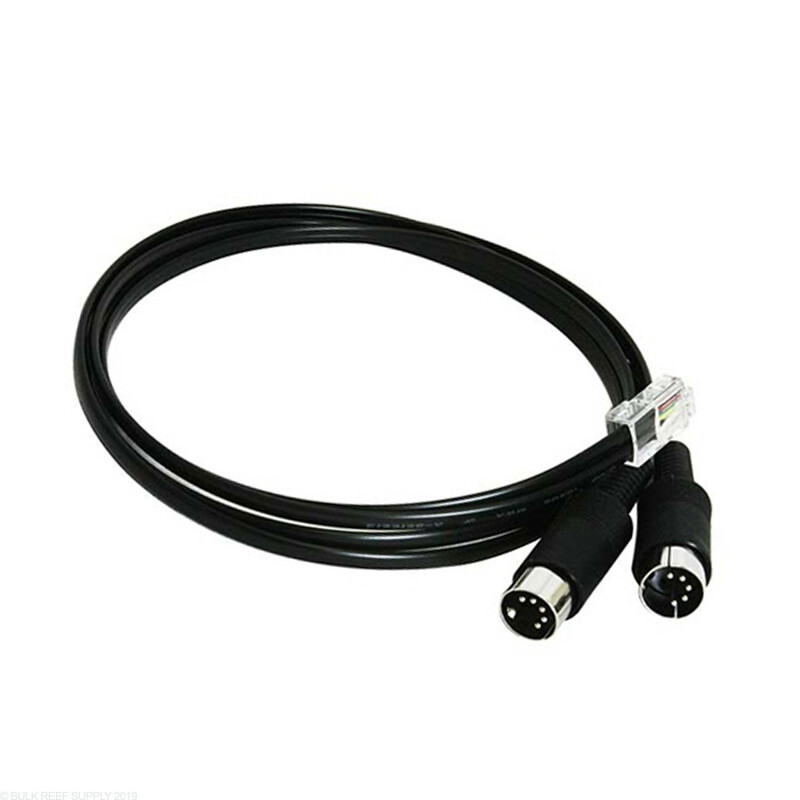 If i have 2 tunze 6095, how many cable do i need? Will the Apex to Tunze cable work with the Tunze 6040 series pumps? Great question, According to the Apex Forum the 6040 can work without issue. I have attached a link below. How long is the connection to each Din5 connector? These will be 2 feet long from the apex end to the Tunze end on each cable. Can this control two pumps independently of each other, or would this make the two pumps mirror each other? This would allow you to control two pumps independently of each other.